Our Shanghai tour guide will pick you up at your hotel lobby, holding a paper sign with your name on for you to recognize, and then you will be transferred to Shanghai airport for your flight to Beijing. After 2 hours’ flight, you arrive at Beijing airport. Our Beijing tour guide will meet you at the arrival hall and transfer you to your hotel. 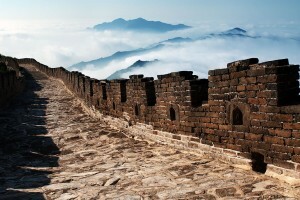 Have lunch and then visit the spectacular but less crowded Great Wall section-Mutianyu Great Wall. Be transfered back to hotel after the tour. Today we will explore the two most popular Beijing attractions-the gorgeous imperial palace-the Forbidden City where 24 empeors of Ming and Qing Dynasties lived, and the Summer Palace which was a very beautiful imperial garden for royal families in ancient China. After the tour, you will be transferred to Beijing airport for your flight back to Shanghai. Upon your arrival our Shanghai tour guide will pick you up in time. How much this tour cost per person. I am am travelling alomne but love to join a group to keep the cost down. I will be travelling at the end of May.